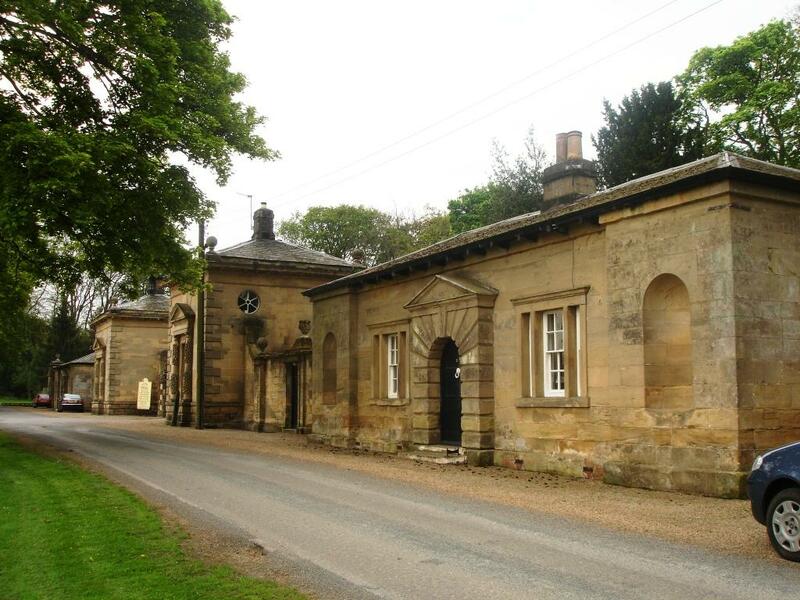 The gates and lodges at the entrance to Newby Hall were designed by William Belwood in about 1780. 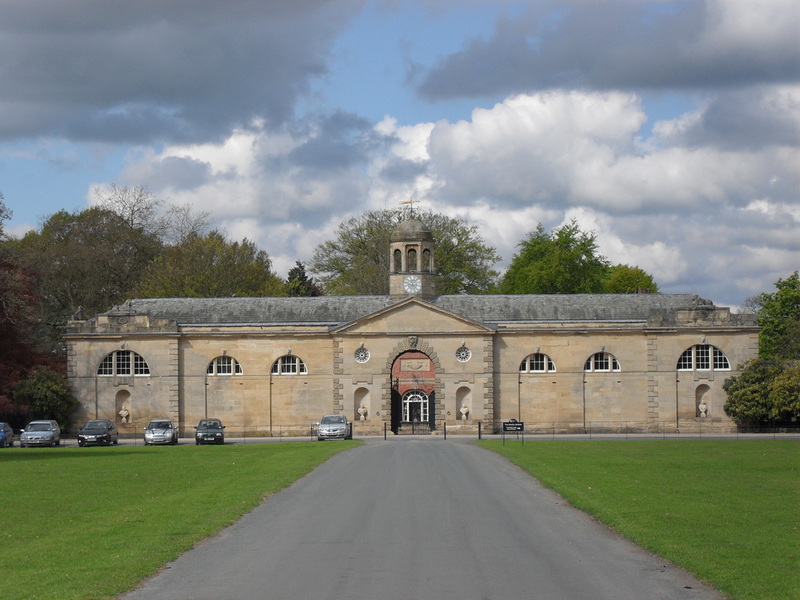 Belwood started his own business at York in 1774 and was trained by Robert Adams. The Ferry Disaster Memorial at Newby Hall is in remembrance to the York and Ainsty Hunt on February 4th 1869 when, in pursuit of a fox, it boarded a ferry. One of the horses became entangled in chains on the side of the ferry, panicked, and the boat tipped over. Six men were drowned, including; Sir Charles Slingsby, heir to the Knaresborough and Scriven estates, Edmund Robinson, Christopher Warriner who was the Newby Hall gardener, and James Warriner his son. Clare and Robert Vyner and Captain Henry Vyner were saved. Horses also drowned. The memorial, which probably is made from recycled masonry, was original sited in woodland to the east of the kitchen gardens.